Students ask: What will the next 100 years bring? 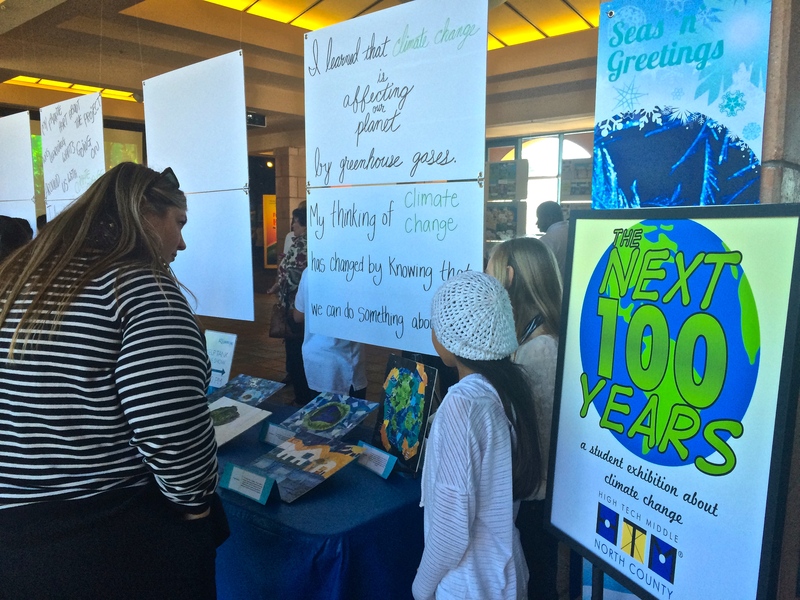 Home » Conservation » Students ask: What will the next 100 years bring? Birch Aquarium Education staff visited the students at their school to give them some insight into talking to the public about climate change. Using the National Network of Ocean and Climate Change Interpretation framing techniques, students were taught how to explain the mechanisms of climate change through easy to remember and understand metaphors. 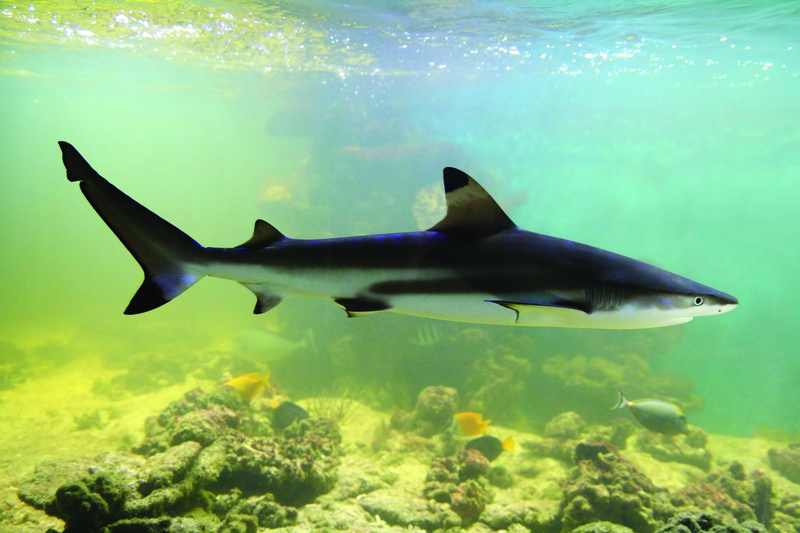 On December 15, 2015, the students exhibited their projects at Birch Aquarium. Gorgeous and colorful visual art pieces made from recycled materials were on display, in addition to giant-sized versions of their comics. Guests and parents of the students were invited to talk with the students about their projects. Each student had a different story to tell, but all had the same message – climate change is happening and we are the solution. Perhaps we can all look to future generations for hope and keep in mind that we are all part of the solution to climate change. Let’s work together to protect and preserve our green and blue planet. 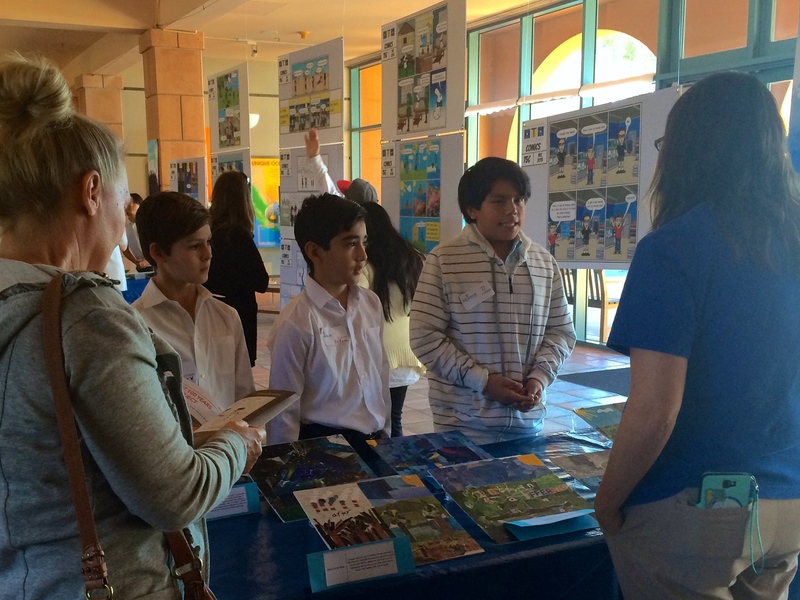 Students from High Tech Middle School in San Diego present their climate change projects. Got E-Waste? We’ll Take It.